This was a challenge. 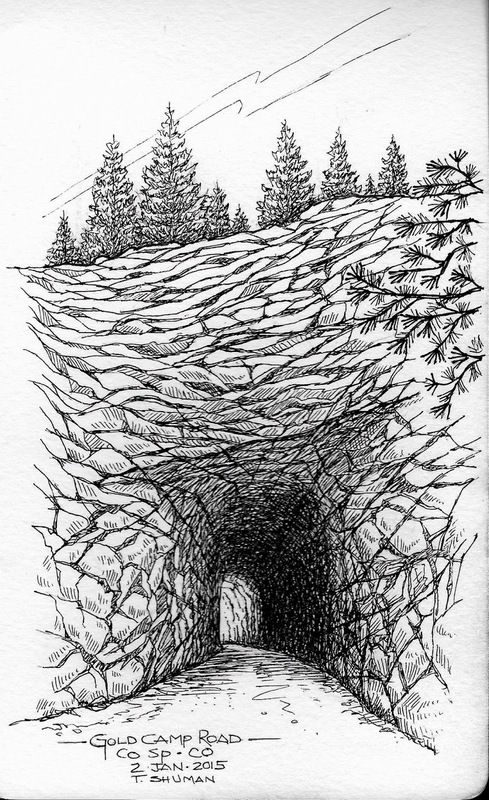 I loved the scene, but it was challenge to draw the cut rock. As I made this I kept thinking of the strong men who somehow cut out that hole!! Wow.Dedication. 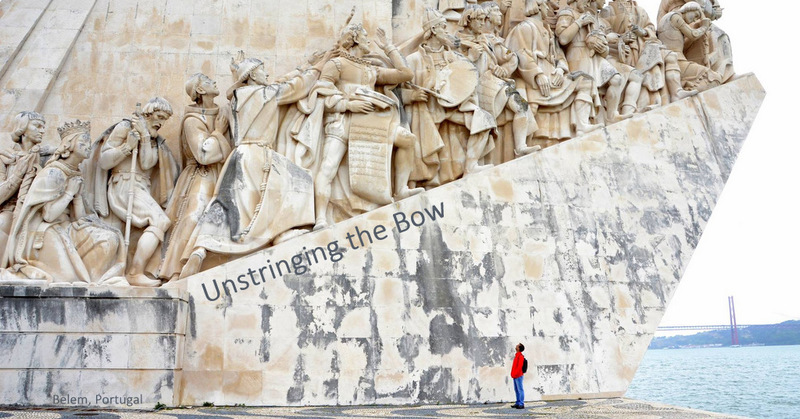 Believe it or not, all those lines were a great way to relax - to "unstring the bow".